different interrelated software applications per lesson, designed to teach word, sentence, paragraph mastery, as well as spelling. Blue Level is for students/children/adolescents/adults reading with a K-1st grade reading level and IQs as low as 35. 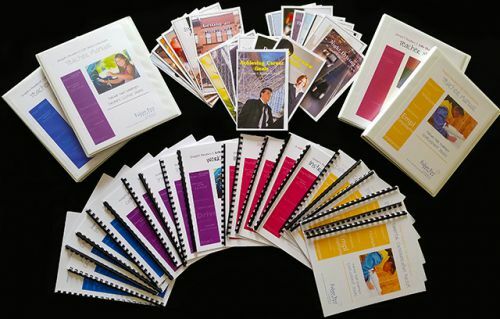 Blue Level is suitable for: Ages 12-Adults: early reading, beginning English Language Learners, at-risk, and special education populations: autism, learning disabilities, intellectually disabled, deaf/HH and dyslexics. Life Skills Blue Level – Story I- “Getting an Apartment” is the first story from first level of Failure Free Reading’s four Life Skills Levels. This story talks about a person who moving out of his/her parent’s house and is getting in a new job in a new community in the city. Key words taught in this story are: job, find, community, newspaper, want, move, going, to, near, buying, parent’s, landlord. Key phrases taught are: a new job in a new community, going to move, buying a newspaper, looking in the want ads. 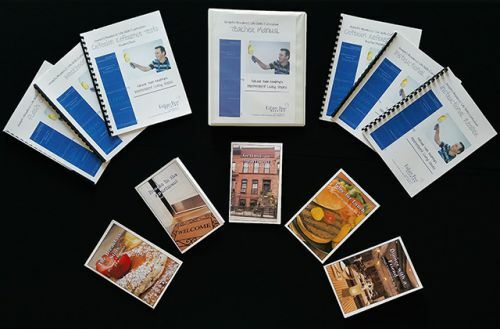 Life Skills Blue Level – Story 3- “The Breakfast Story” is the third story from Blue Level of Failure Free Reading’s four Life Skills Levels. This story talks about a person who going out to get breakfast. This story describes the many different items that are on the breakfast menu. Key words taught in this story are: waitress, special, breakfast, restaurant, juice, order, morning, eggs, menu, fourth, includes, scrambled, knife, fork, coffee, cashier and the Key phrases: sitting at a table in the restaurant, going to have breakfast this morning, waitress sets my table, the waitress takes my order, decided to order. Life Skills Blue Level – Story 4 - “Time for Lunch” is the fourth story from Blue Level of Failure Free Reading’s four Life Skills Levels. This story talks about a person who going out to get lunch. This story describes the many different items that are on the lunch menu and what he/she sees in the restaurant. Key words taught in this story are: neighborhood, medium, mayonnaise, ketchup, glad, lemon, pepper, sugar, hungry, ready, order, because, extra, lettuce, large, cooking, chef, small, chicken, mustard and the Key phrases: going to have lunch, fast food restaurant, cooking french fries, soft drink cups, hamburgers and hot dogs, there are many items. Purple Level is for students/children/adolescents/adults reading with a 2nd grade reading level and IQs as low as 35. Purple Level is suitable for: Ages 12-Adults: early reading, beginning English Language Learners, at-risk, and special education populations: autism, learning disabilities, intellectually disabled, deaf/HH and dyslexics. 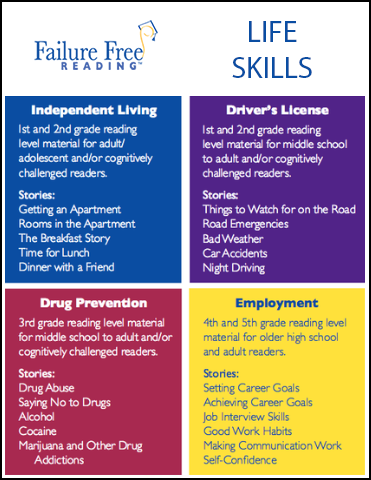 Life Skills Purple Level – Story 1 - “Things to Watch for on the Road” is the first story from second level of Failure Free Reading’s four Life Skills Levels. This story talks driving a car and the things a driver needs to watch out for on the road while driving. Key words taught in this story are: elderly, daylight, traffic, closely, stopped, vehicle, enough, blind, laws, white, pedestrians, school, bicyclists, emergency, yield, killed. Key phrases taught are: yield the right of way, flashing lights or sirens, drivers must not move, when a school bus stops, pedestrians have been killed. Life Skills Purple Level – Story 2 - “Road Emergencies” is the second story from second level of Failure Free Reading’s four Life Skills Levels. This story talks about the type of emergencies drivers need to watch out for while driving in the car. Key words taught in this story are: passengers, while, tire, disabled, emergency, flashing, control, pedal, skid, direction, accidents, hundred, injury, dollars, curve, carry. Key phrases taught are: should ease up on the gas, when the car starts to slide, get their cars off the road, tell the police about accidents, try to warn. Life Skills Purple Level – Story 3 - “Bad Weather” is the third story from the second level of Failure Free Reading’s four Life Skills Levels. This story talks about the dangers caused when driving in bad weather. Key words taught in this story are: weather, prevent, glasses, watch, lights, down, foggy, dangerous, ahead, caution, engine, storm, overpasses, following, ahead, freeze, started, following, first. Key phrases taught are: turn on their low beams, must watch the tail lights of cars, roads become slick, oil and dust, are most dangerous, should be careful, poor driving conditions, poor driving conditions. Life Skills Purple Level – Story 4 - “Car Accidents” is the fourth story from the second level of Failure Free Reading’s four Life Skills Levels. This story talks about the causes of car accidents such as falling asleep, not concentrating while driving or taking drugs and alcohol. Key words taught in this story are: chance, accident, injured, avoid, mistakes, defensively, physical, health, fatigue, emotions, medicine, affect, crashes, upset, excited, rude, performance, doctor, performance, wheel, drug, society, quickly, traffic, deaths, leading, children, alcohol. Key phrases taught are: one in three chance, avoid the mistakes, driving defensively, good physical and mental health, asleep at the wheel, concentrate on driving, Medicine and drugs, widely used drug, a drug that acts quickly, taken away from them, the leading cause of death. Life Skills Purple Level – Story 5 - “Night Driving” is the fifth and final story from the Purple Level of Failure Free Reading’s four Life Skills Levels. This story talks about the dangers associated with driving at night including the rise of drunken drivers, being blinded by oncoming headlights and difficulty seeing at night. Key words taught in this story are: dangerous, drinkers, people, because, tired, alert, blinded, oncoming, headlights, headlights, pull, low, beam, behind, night, high, when. Key phrases taught are: may be blinded, pull off the road, on the open road, do not see well, driving is dangerous, oncoming headlights. Want to view other Life Skills Offerings? Life Skills - Maroon Level- One Online Student/Child License for 1 student for Failure Free Reading’s Maroon Level I Instructional Materials, for 12 months. Maroon Level is for students/children/adolescents/adults reading with a 3rd grade reading level and IQs as low as 35. Maroon Level is suitable for: Ages 16-Adults: early reading, beginning English Language Learners, at-risk, and special education populations: autism, learning disabilities, intellectually disabled, deaf/HH and dyslexics. 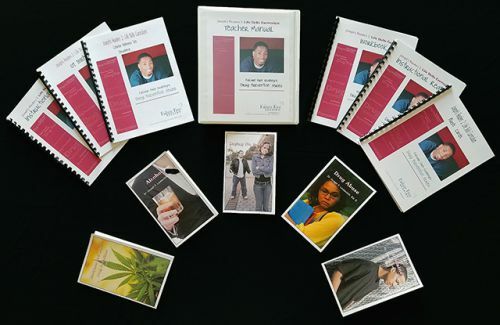 Life Skills Maroon Level – Story 1 - “Drug Abuse” is the first story from the third level of Failure Free Reading’s four Life Skills Levels. This story talks dangers of drug abuse. It is designed to give a straightforward description of the dangers of drugs. Key words taught in this story are: drugs, misuse, people, abusers, problems, their, there, friends, serious, synthetic, behavior, changes, natural, substance, changes, around, daily, disease, discomfort, personal, health, misused, financial, capable, harmful. Key phrases taught are: people who misuse drugs, end up with serious problems, can cause changes, drugs are all around you, can be natural or synthetic, are used on a daily basis. Life Skills Maroon Level – Story 2 - “Saying No to Drugs” is the second story from the third level of Failure Free Reading’s four Life Skills Levels. This story talks why is it difficult to say no to drugs and the reasons for staying strong. It is designed to give a straightforward description of the dangers of drugs. Key words taught in this story are: saying, money, reasons, because, these, stupid, personal, bodies, expensive, caught, sick, ugly, sophisticated, rich, sound, dependent, addicted, bloodshot, choice, rough, price Key phrases taught are: saying no to drugs, is not easy, look like fun, rich and famous, make a smart choice, spend most of their money. Life Skills Maroon Level – Story 3 - “Alcohol” is the third story from the third level of Failure Free Reading’s four Life Skills Levels. This story talks the dangers of alcohol abuse. Key words taught in this story are: alcohol, brain, causes, teenagers, drinking, highway, quickly, killed, deaths, become, bloodstream, directly, liquid, digested, involve, leading, heart Key phrases taught are: goes directly to, other parts of the body, leading cause of highway deaths, carries the alcohol to the brain, goes directly to the bloodstream, because of drinking, goes directly into the blood stream. Life Skills Maroon Level – Story 4 - “Cocaine” is the fourth story from the third level of Failure Free Reading’s four Life Skills Levels. This story talks the dangers of cocaine abuse. Key words taught in this story are: cocaine, users, stimulants, amphetamines, nervous, caffeine, noses, high, spend, experiencing, crystals, physical, increase, irritable, sniffed, snorted, alertness, energy, restless, minutes. Key phrases taught are: over a long period, pick them up, start to feel down, increase their alertness, start to see and hear, many different forms, inject it or smoke it. 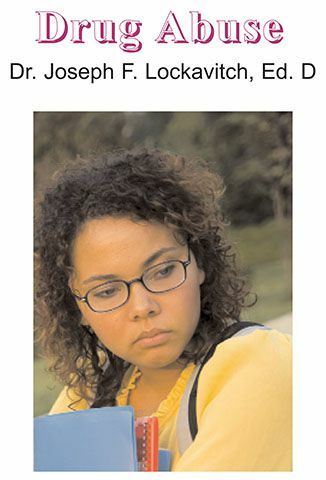 Drug Addictions” is the fifth and final story from third the level of Failure Free Reading’s four Life Skills Levels. This story talks the dangers of marijuana abuse and other drug addictions. Key words taught in this story are: marijuana, distorts, perceptions, chemicals, hallucination, hundred, percent, dangerous, excess, cigarette, wheezing, cancer, dose, unfriendly, harmful, afraid, opiates, powder, illegal, strongest. Key phrases taught are: mind altering drug, does not mix, a drug that distorts perceptions, leads to hallucinations, stays in the body, comes from a plant, can be very dangerous. Yellow Level is for students/children/adolescents/adults reading with a 3rd- 4th grade reading level and IQs as low as 35. Yellow Level is suitable for: Ages 16-Adults: early reading, beginning English Language Learners, at-risk, and special education populations: autism, learning disabilities, intellectually disabled, deaf/HH and dyslexics. Life Skills Yellow Level – Story 1 - “Setting Career Goals” is the first story from the fourth level of Failure Free Reading’s four Life Skills Levels. This story talks importance of setting career goals. It is designed to help understand the concept of goals and why they are important in life. Key words taught in this story are: career, goals, some, achieve, choose, involve, counselor, person, helping, examples, happen, trained, professional, living, requires, qualifications, policemen, mechanic, architect, artist, firemen, auto, layer, technician. Key phrases taught are: short term goals, who is trained, helping people choose, knowing the skills and qualifications, going to visit, deciding on a career. Life Skills Yellow Level – Story 2 - “Achieving Goals” is the second story from the fourth level of Failure Free Reading’s four Life Skills Levels. This story talks discusses the importance of achieving career goals. It is designed to give ways to achieve these goals. Key words taught in this story are: quiet, drafts, spelling, written, loan, luck, knowing, might, success, sketching, place, summary, counselor, involves, listen, believe, elaborate, yourself. Key phrases taught are: find an excuse, how to overcome, most important to you, continue to do this, need special training, have the qualifications, achieve your goals, write down the steps. Life Skills Yellow Level – Story 3 - “How to Develop Your Job Interview Skills” is the third story from the fourth level of Failure Free Reading’s four Life Skills Levels. This story talks discusses the how to interview for a job. 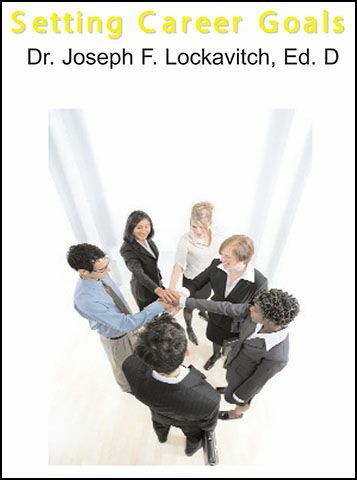 Key words taught in this story are: interview, employer, appearance, greet, potential, during, important, punctuality, arrive, smile, requires, knowledge, counselor, applicants, plenty, impression, neatness, mirror, handshake, polite, pleasant, questions, interest, personalities, conversation. Key phrases taught are: how to interview, for a job, a skill that requires practice, very important to a career, the first step, your appearance is the first impression, arrive a few minutes early, a successful job interview. 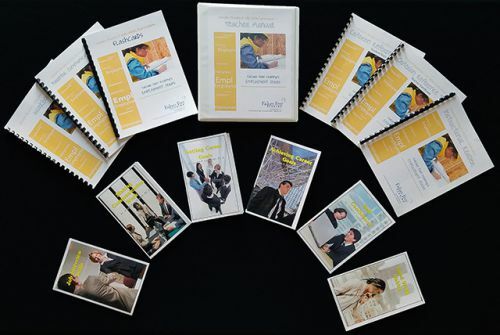 Life Skills Yellow Level – Story 4 - “How to Develop Your Job Interview Skills” is the fourth story from the fourth level of Failure Free Reading’s four Life Skills Levels. This story talks discusses the how to interview for a job. Key words taught in this story are: interview, employer, appearance, greet, potential, during, important, punctuality, arrive, smile, requires, knowledge, counselor, applicants, plenty, impression, neatness, mirror, handshake, polite, pleasant, questions, interest, personalities, conversation. Key phrases taught are: how to interview, for a job, a skill that requires practice, very important to a career, the first step, your appearance is the first impression, arrive a few minutes early, a successful job interview. Life Skills Yellow Level – Story 5 - “Good Work Habits” is the fifth story from the fourth level of Failure Free Reading’s four Life Skills Levels. This story talks discusses the how keep a job. Key words taught in this story are: attitude, positive, means, responsible, manner. Key phrases taught are: keeping a job, just as important, have a positive attitude, show how happy you are, let others know, to feel good, in a responsible manner. Life Skills Yellow Level – Story 6 - “Self-Confidence” is the sixth and final story from the fourth level of Failure Free Reading’s four Life Skills Levels. This story talks about the importance of self-confidence. Key words taught in this story are: confidence, mistakes, failure, expect, wrong, employers, correct, successful, nothing, afraid, better, responsibilities, embarrassed, forward, reason, developing, handle, themselves, honest. Key phrases taught are: can handle the responsibilities, nothing wrong with failing, made a mistake, on their jobs, can’t do their jobs. Life Skills - Yellow Level- One Online Student/Child License for 1 student for Failure Free Reading’s Maroon Level I Instructional Materials, for 12 months. Yellow Level is for students/children/adolescents/adults reading with a 4th-5th grade reading level and IQs as low as 35. Yellow Level is suitable for: Ages 16-Adults: early reading, beginning English Language Learners, at-risk, and special education populations: autism, learning disabilities, intellectually disabled, deaf/HH and dyslexics.